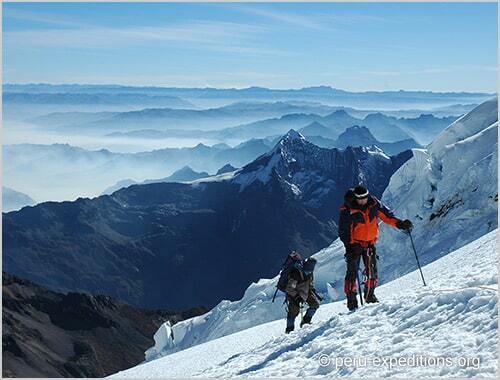 Join Juvenitino, a IFMGA mountain guide from Huaraz, on this 4-day ascent to the summit of the Nevado Tocllaraju. 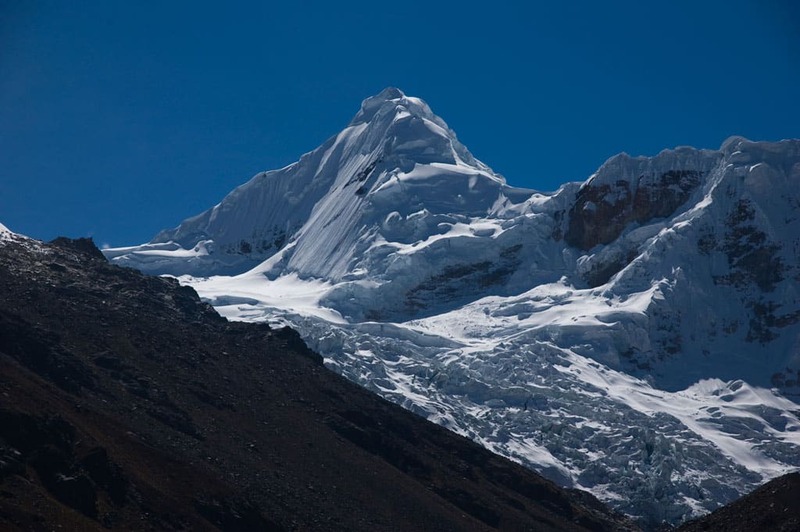 It's one of the three jewels of the Ishinca Valley, in the Cordillera Blanca! 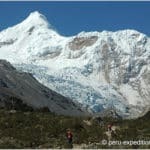 Welcome to one of the most challenging adventures in the Quebrada Ishinca: the ascent to the Nevado Tocllaraju (6034 m). 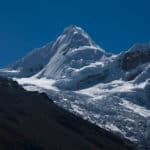 As you may known, the Quebrada Ishinca hosts three of the most demanding Peruvian peaks: the Urus (5495 m), the Ishinca (5530 m) and our star of the day, the Tocllaraju. 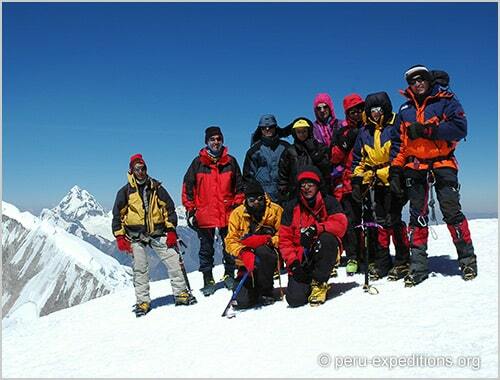 It is a very famous three-in-one mountaineering tour I also offer. You can check out this option here. But today I want to propose a different plan. 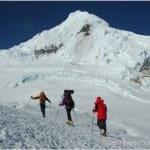 During this 4-day ascent I am leading, I would like to help you conquer the summit of the Nevado Tocllaraju. We’ll have two alternative routes: the northwest ridge or the west face. 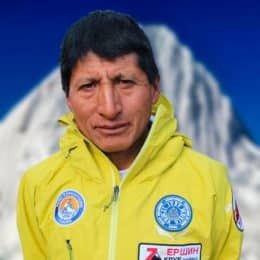 The Tocllaraju west face offers a more direct ascension but it is a very difficult route since it has slopes of 60° – 75° degrees of inclination. On the other hand, the northwest ridge is a bit longer but it is less demanding. It is the “normal route”. This amazing adventure will take you through the famous Ishinca Valley. 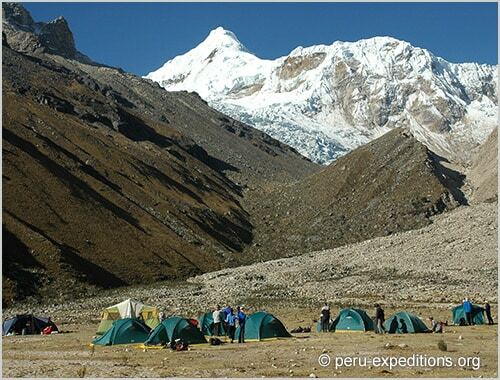 It is a great destination for those who want to climb a 5000 or 6000 meter peak. However, the highlight of this place is its scenic beauty. 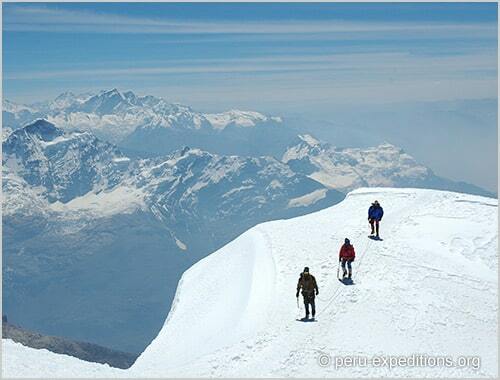 Even if you do not reach the top, you will enjoy an unparalleled landscape. As for the itinerary, a transfer will take us from Huaraz to Pashpa. From there, we must walk to the Ishinca Base Camp. 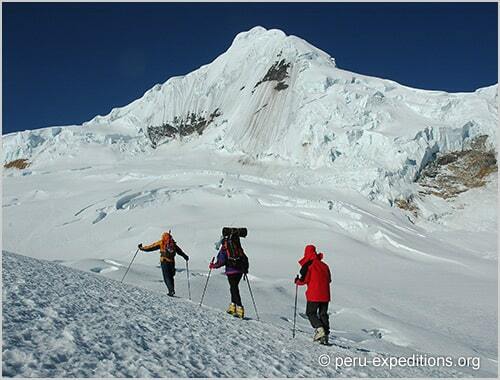 On the next day, we will arrive at the Moraine Camp (4950 m), just below the west face of the Tocllaraju. 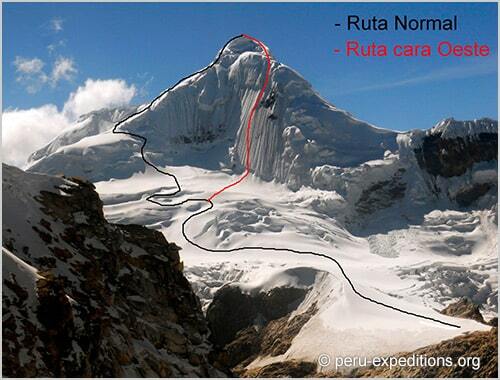 So, we will climb a line on the south end to join the ridge, which is 100 meters from the summit. The ascent will take us around 7 hours in total. Finally, we will descent abseiling the snowy summit by the northwest ridge. The best season to go on this adventure is from May to September. 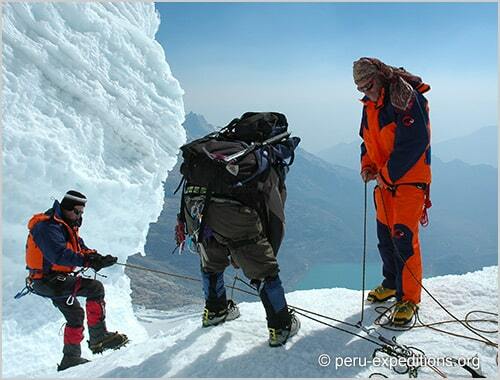 All participants must have prior mountaineering experience as well as an excellent fitness level. The maximum of guests I can lead is 10 people. If you are on your own, you can join an open group I already have. On the contrary, I will open a new group for you and your friends. So, don’t wait any longer and make your reservation. I will be here, waiting for your contact. Let’s plan this amazing climbing trip together! 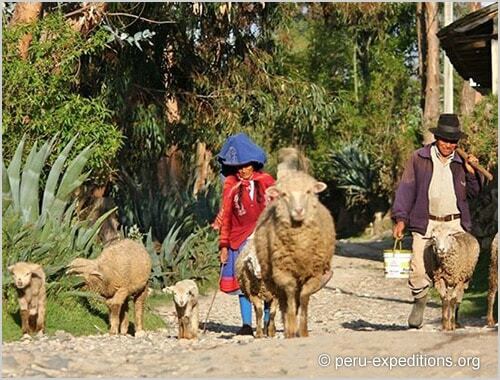 We’ll leave Huaraz across the Callejón de Huaylas towards the village of Paltay. 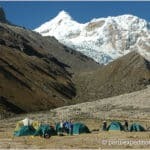 We’ll continue to Pashpa (3400 m), up to the small Cochapampa Lake. Here we’ll meet our local team of donkey drivers. 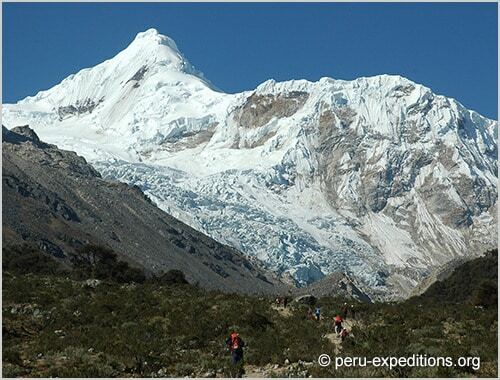 Then, we will start an easy climb through the Ishinca Valley to our campsite, near Refugio Don Bosco. Overnight camp (-/L/D). After lunch, we will start the ascent through a steep moraine in direction to the edge of the glacier. 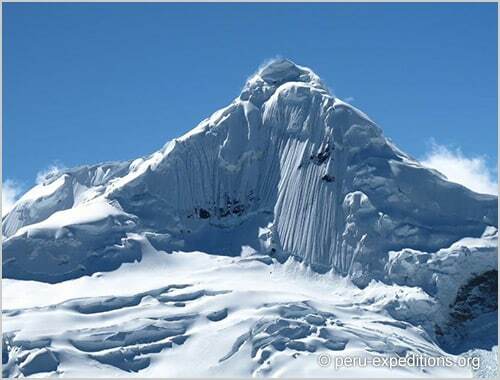 From this point you can see the Tocllaraju (6034 m) very very close. After 4-5 hiking hours we’ll set up our high camp on the moraine (B/L/D). Summit day! After a very early breakfast, we’ll start to ascend over the glacier to the northwest ridge of the peak. Because of the changes suffered by the glacier year after year, the technical ice climbing is also different each new season. We might find small 60-degree walls of ice. The final section before the summit is secured with fixed ropes. 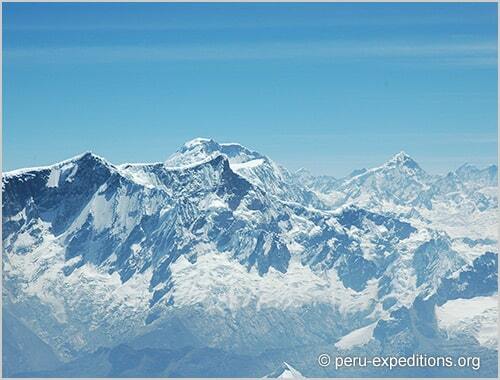 Once at the top, the view opens on the entire Cordillera Blanca. Finally, we will descend to the base camp. A total activity of about 12 hours. We’ll spend the last nigh in tents (B/L/D). After breakfast we’ll start an easy return to Pashpa. Today the donkeys will carry our camping and personal equipment. We’ll return via a hillside covered with quenual trees, native flora of the high Andes. In Pashpa our transport will be waiting. We’ll probably arrive Huaraz early and have lunch there. Overnight stay in a hotel of the city (B/L/-). Deposit for reservations: 1000 USD (900 EUR). Full payment 40 days before. No refund if you cancel less than 30 days!